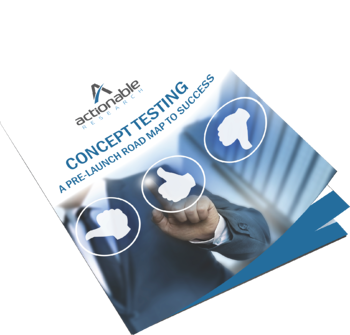 Concept testing is a critical aspect of marketing research, designed to help companies prepare the success of a concept. It helps determine how a concept would be recieved if brought to market, revealing the interests of potential customers and also potential barriers to purchasing. Investing in concept testing research can help you to determine whether or not to proceed with your concept, preparing you for success. To get the whitepaper, fill out the form to right and then click "Go to Download Page."